This week we kicked off Health and Safety Day at Martin Luther King Jr. Elementary School! Students took part in our Nutrition Jeopardy game which contained questions from the MyPlate food groups and fluids (sugary beverages). The purpose of the game was to teach students the importance of eating from all five food groups as it provides us with the necessary nutrients to grow healthy. During the jeopardy game, students had the opportunity to learn how much sugar beverages contain. Students were amazed as they were given an accurate visual of how much sugar is in each beverage. They learned that the best drinks to choose are water, milk and 100% fruit juice. 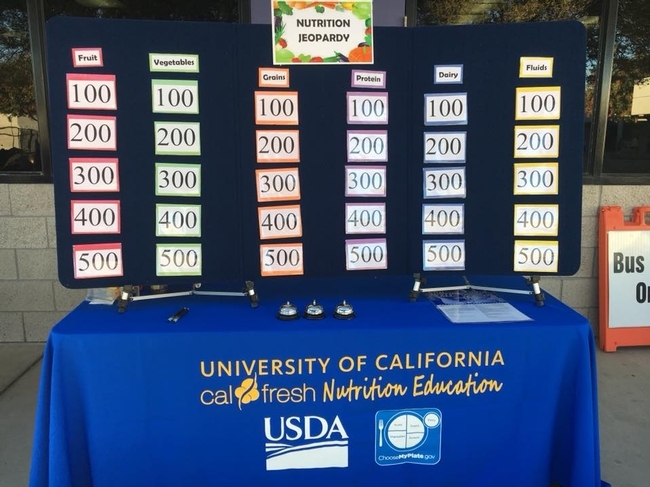 Overall, Nutrition Jeopardy was a success and we look forward to attending Health & Safety Day at all of the Hanford Elementary School District schools!